The Fast Track posted an interesting article about overcoming resistance to change filled with the usual feel-good, common sense advice for said topic. I agree with all the points mentioned in the post but one bone of contention I have is that this, and many other ‘feel-good’ posts, sound great but offer nothing practical that you can actually do when faced with change resistance. For each “fix” mentioned in this article, I’ll give you tangible actions you can do right now to help deal with change resistance. Keep in mind that “resistance” is a response to change, it’s completely natural and it’s going to take time for those pesky resistors to wise up! 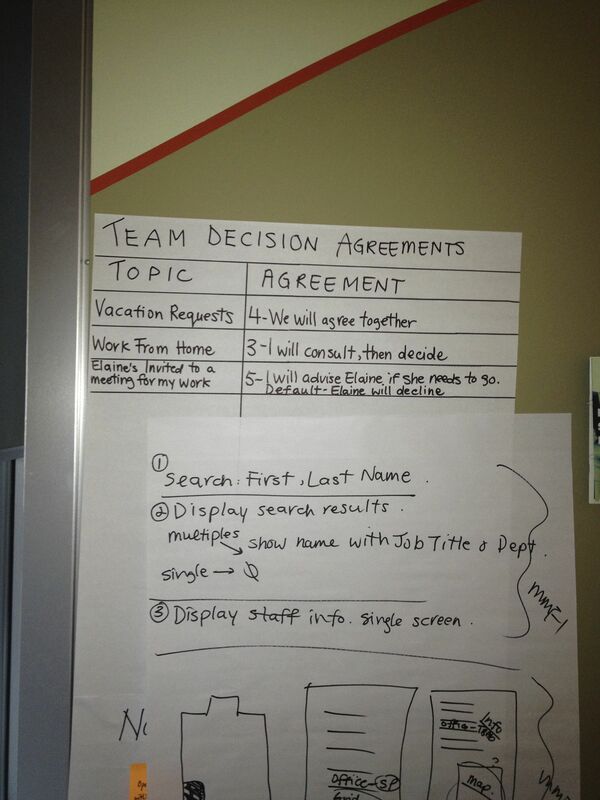 Run a delegation poker session and make explicit how you make decisions within your team. Post your results in a big visible area. This gives you the benefits described in the article. It establishes where the organizational electric fences are and what decisions can be more safely delegated down the hierarchy. 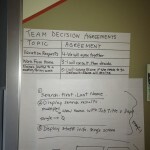 Review this monthly with your team during a retrospective. Many change models and articles cite the importance of clear and concise communication during change. Duh, really? 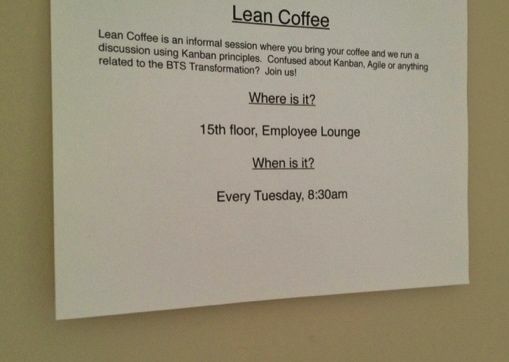 Have a weekly wide-open Lean Coffee session hosted by one of the change agents in your organization and an executive. Let people freely ask whatever questions they want in context of the change. Put the questions and notes on an intranet somewhere. Chances are no one will look at the notes but try it anyway. 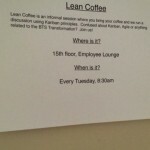 Do this weekly and rotate executives in and out. This will show commitment to the change and will (hopefully) clear up confusion in a more effective way than sending out more email. This is a tough one. One piece of advice is to make change easier by considering motivation and ability. People can feel frustrated when change is too hard even if they’re highly motivated to do it. Give people slack time by stopping lower priority projects which will give them time to adjust to the change or do what Volkswagon does and turn off BlackBerry service after hours to give employees a break. We humans love the feel-good stuff and it is useful for building motivation in an emotionally charged topic such as change but at the end of the day you still need to do something to put these fixes into place. Try this stuff and add a comment with what worked and what didn’t work. Nicely done, Jason. The high-level suggestions from The Fast Track are nice to have. The more actionable tips from this article are even more helpful. Thanks for the comment David. I thought that Fast Track post was spot on and sometime people need a “how to” attached to good advice. Those are some pretty good points. Obviously space is a limitation to details.